Below is the transcribed version of the video. Hello everybody, welcome to Feet Up Friday I am your host Brendan Gilbert. 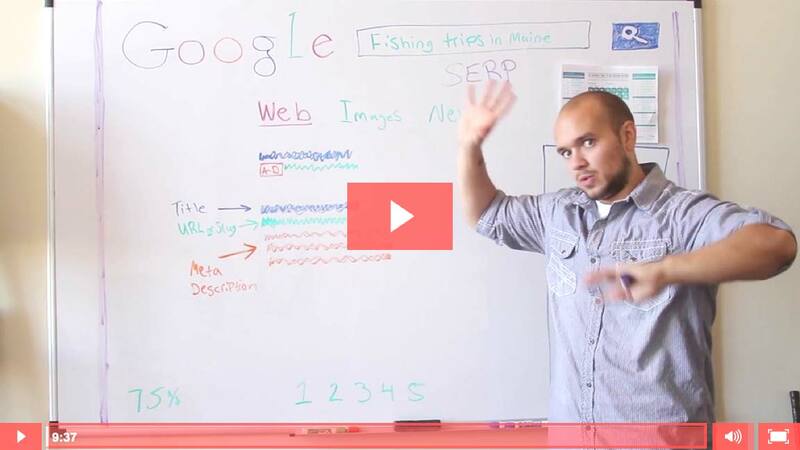 This week I want to talk about SEO best practices to help improve your organic search results. Now, last week I talked about website traffic sources and how people find your website. I didn't really give you a good description on what organic search results are. Therefore, I want to briefly go over that real quick before I get into the SEO best practices. Now in order to find organic search you need to search for something on a search engine such as Google, Bing, or Yahoo. For example, we used the search term Fishing trips in Maine. This will result in you being brought to a SERP page, also know as a search engine result page, which is where you will find organic search results. These SERP pages are typically broken down with ads on the right and ads on the top. So a good portion of the page is covered by paid search results. Generally speaking, the first search result you will see is a paid search result. You can tell it is an ad because they have a yellow box with the word ad in it. Pretty straight forward. There can be several of these paid search results listed. Organic search results appear under these paid search results and there are generally 8 - 10 of them on the page.There can be several pages of search engine results for your query. Organic search is free, as you are probably aware, and paid search costs you money per click or impression. The first organic position in Google is, generally speaking, the best position you could hope to get when someone is searching for a product or service that your offer. However, that is no easy task to accomplish. The saying "If you're not first, you're last" does not apply in the SERP world. The first five spots is what I consider the "sweet" spot and can drive a significant amount of traffic to your website. So don't sweat it if your not number one, or even number two, just keep working at it. The reason I consider the first five organic search results the "sweet" spot is because a recent study found that 70% - 80% of people ignore paid search results and skip right to the organic results. It's like human nature has trained our brains to ignore the ads. That means roughly eight out of ten people do not click ads when viewing a SERP page. In addition, 75% of people do not go past page one of Google. Those people are basically thinking that "If the answer to my question is not on page one of Google, it must not be out there". If you are looking for an easy solution to this statement, keep looking because there is no easy definitive answer for this. But if you want some tips on how to improve your SEO, which will hopefully help your search result position, keep reading because we're going to do a basic breakdown on how to make this happen. On Page SEO is stuff you can control which would include: quality content, keyword research, phrases and words that could drive traffic, images/video, and so on. Another On Page SEO element would be architecture which would include items like search engine crawl ability from your robots.txt file, how well you manage duplicate content issues, mobile friendliness, page speed, and more. HTML markup is also a part of On Page SEO. This would include: page title, meta description, site and post structure, and headers. Off Page SEO is stuff that you don't control. This is going to include items like: trust factor, link quality, personal information, and how successful it does on social media platforms. For example, lets say you buy a business and the previous owner paid someone for links pointing back to the website. This is known as "black hat SEO". The idea is to try and trick Google into thinking the website is a trust worthy source by pointing a bunch of links back at the domain to build the trust factor and domain authority. This may have worked at one point, but this will no longer help. It can only cause pain. Not only did the previous owner ultimately discredit his domain trust; he now has hundreds, and maybe even thousands, of poor quality links pointing at the site. This is a red flag for Google and will severely diminish your odds of ever ranking on page one. Luckily for you, and your new business, there is the Google Disavow Tool. This tool will let you revoke any URL, pointing at your website, allowing it to eventually recover. There is a lot more to this than I have covered today. This hopefully sparked your interest in how SEO best practices can help you improve your organic search results. A good start would be to improve your On Page SEO and, at the very least, gain some understanding of the Off Page SEO. Trust me, I am still learning new things everyday and can expect to do so as things are always changing. If you want a full breakdown of the on and off page SEO best practices I would recommend the The Periodic Table of SEO Success Factors by Search Engine Land. This was recently released, I believe this month - June 2015 -, and will give you an easy yet detailed guide to achieving better SEO success and, hopefully, better SERP positions. Remember, not one single thing will give you success. You must work for it and always analyze what works and what doesn't by using tools like Google Webmasters and Google Analytics. That's it, that's all I got for this edition of Feet Up Friday, I am Brendan Gilbert with PatraCompany. Have an A1 Day. As a Digital Communications professional, Brendan enjoys helping companies increase their customer base and enjoys tracking the results with industry leading tools. When it comes to life, he enjoys walking his Husky Steele, fishing with his old man, and camping with his wife. 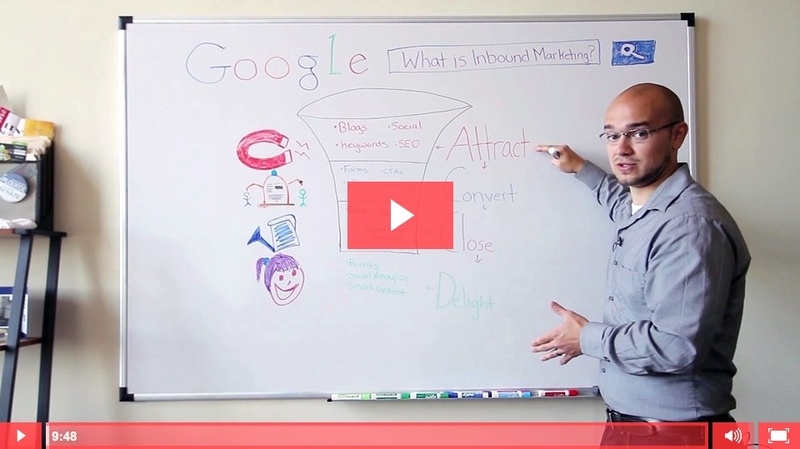 Next Post Feet Up Friday: What Is Inbound Marketing?